CVMG Judges will be present at the People’s Choice Exhibit and will select bikes to participate in the Concours d’Elegance. The bikes chosen will be moved to the Concours tent for judging. At 2:00 pm the Concours d’Elegance bikes will be roped off to the public so judges can determine the ‘Best In Show’ and a 2nd Place winner from this select group of motorcycles. Last year's Concours winners are not eligible to win this year's Concours. 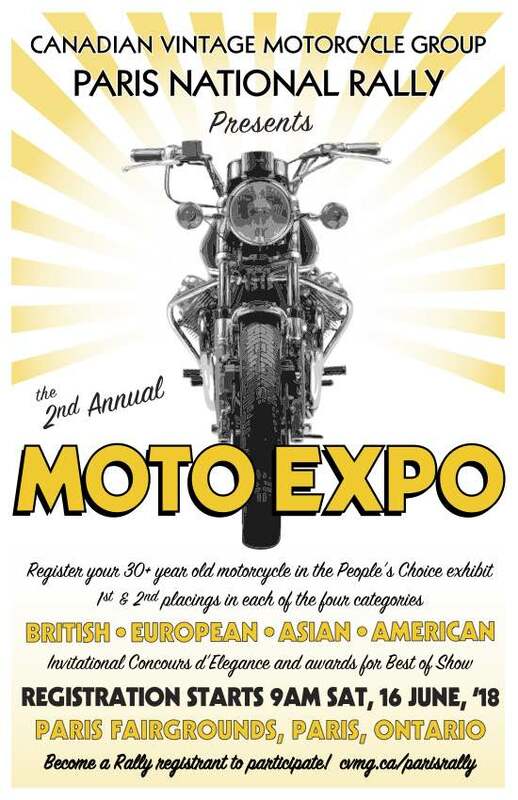 As part of the Rally registration package, each Rally registrant will receive a MOTO EXPO card with a Peoples' Choice voting ballot and a location map.